An everyday carry knife is a must-have for every gentleman and lady. Not because you fancy yourself as a tactical champion, but because it is a smart choice to respond to virtually every cutting job. Before you grab a pocket knife be sure to know the laws that govern possession of knives in your state. Today, we look at EDC knives on a budget. These are pocket knives that are in the under $100 and under $50 price range. With one of these knives, you can prepare yourself for the twists in life that come in the form of sealed packages, stuck seat belts, roasting meat in the campsite, and many other situations where you will need a knife. Why Should You Carry an EDC Knife? A straight edge seems like a no-brainer. It gives you a long blade for slicing through soft material. It is the ideal pick if you are headed to the outdoors or just as something to keep in your pocket or handbag. A straight edge is also easy to sharpen. With a serrated blade, you get more versatility since you can cut tough materials like a rope or the bark of a tree. But they are pretty hard to sharpen. You can always opt for a knife with a serrated part and a straight edge part. A quality pocket knife has a construction from either stainless steel or carbon steel. Stainless steel knives retain an edge for a decent time. They can resist corrosion which makes them a better choice for the outdoors. Most common stainless steel EDC knives have steel definition such as AUS-8, 420J2, 440C, 420HC, and ATS34. On the other hand, carbon steel knives are easier to sharpen. They come in definitions of 1045 and 1095 steels. A 1045 carbon steel blade has less carbon while a 1095 blade has more carbon. These blades also retain an edge, but they rust quickly. Choosing your ideal blade shape will fall hand-in-hand with the purpose of the knife. There are four common blade points preferred with EDC knives. This blade has a descending angle of the spine. It is more utilitarian lending it to everyday tasks like cutting and slicing. The spine and edge are symmetrical and meet in the middle of the knife. It makes a sharp tip that is ideal for thrusting into material. This type of blade maintains a thick spine from the handle to the tip maintaining a 45-degree angle with the edge. It is considered to be the strongest type of blade for the outdoors and survivalist situations. As its name indicates, it showcases a blade that appears to have its tip cut off. They are associated with having a crescent shape. These blades are preferred for piercing since the clip starts at around 2/3rds of the spine. There are many types of handle materials. This goes from stainless steel, fiberglass, wood, carbon fiber, Zytel, Marcantoni, G-10, etc. The material that you choose for your knife affects handling, durability, and the security it gives. Metallic and synthetic handles are sturdy and rarely break apart while handles made from natural materials are more appealing and elegant. 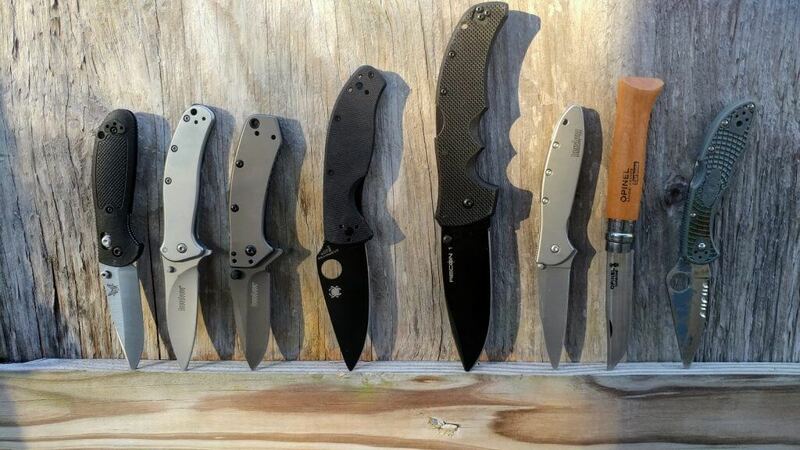 EDC knives are mostly folding knives. Different locking mechanisms are utilized to ensure the blade stays in the open or closed position. These systems include; liner lock, lockback, and frame lock mechanisms. Why we like it: It’s an all-around EDC knife that’s a good pick for a hunter, outdoor enthusiasts, backpackers, etc. It comes with intuitive features to fulfill a variety of needs. Kershaw is not new to the world of knives. 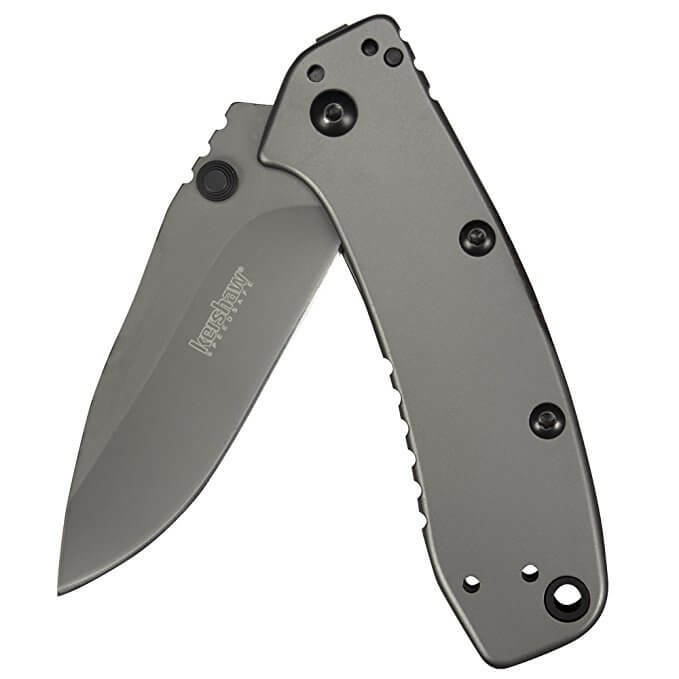 The Kershaw Skyline (1760) is our best pick on a budget. The blade is only 3.1 inches long which gives you more handling control for things like opening packages, slicing a fruit, cleaning small game, etc. This knife has a robust and durable construction from Sandvik 14C28N stainless steel. It offers you maximum longevity since it is not only tough, but it resists corrosion to a high degree. You will love that it retains an edge for quite a long time. This means it is difficult to sharpen which indicates it is ideal for use in situations where a super sharp knife is not a must. The drop point tip is practical for use with everyday issues that’s why it’s a top pick to have in your pocket at all times. The blade has a stonewash finish to keep it shiny and sparkly. You will not see any ugly fingerprint marks with this knife. You have a G-10 handle that is lightweight to give you complete control. It assures you of a secure grip to tackle all cutting tasks like a pro. This knife is slim, yet it has excellent performance. It comes with a flipper to provide effective deployment. Mastering the deployment mechanism for easy usage is simple. It does not have an assisted opening mechanism. But the pocket clip is flexible such that you can carry the knife in a tip down or up position. It’s hard to beat the value of this knife at under $50. It is highly functional in that you can use it in countless ways. It is a knife for backpackers, hunters, emergency responders, and every knife enthusiast who needs a well-made knife from one of the world’s best knife brands. Why we like it: Great grip and lightweight style. It brings impressive quality at a very affordable price. Many are times when a cheap knife is associated with low quality. But that is not the case with the Kershaw Cryo II. It boasts a robust construction which gives it lots of functionality in the outdoors. This model is made from 8Cr13MoV stainless steel. This is Chinese-made steel that falls in the midrange performance. It performs much better than AUS-8 steel. This is regarding retaining an edge and ease of sharpening. It excels in exceptional toughness that is not seen on knives in this price range. We like the titanium carbo-nitride coating as it improves the toughness of this knife. It gives it the matte-grey finish, and an elegant look. The pocket clip allows it to sit deep in the pocket while giving you four carry positions. It can sit comfortably in your purse, pocket, jacket, or use it with a lanyard to hang around the neck. You will never feel its weight so it won’t drag you down. Kershaw Cryo II utilizes its exclusive SpeedSafe assisted deployment mechanism designed by Ken Onion. It is superfast to start operation while the frame lock keeps the blade open. Your fingers will always be at a safe position which gives even novice knife users a chance to use it safely. The Kershaw Cryo II is a favorite knife for all outdoor situations. It has a solid grip that utilizes an intuitive opening and closing. It stores quite easily giving you the convenience of pulling it out when you need it. Why we like it: Its versatile nature in a folding design makes it an easy pick for the best-serrated knife. It is ambidextrous to allow use with either the left or right hand. Smith & Wesson is another influential brand in the knife and gun world. Although known for producing high-end knives, they also span their high-quality knives in the budget range. With the SWA2S Stainless Steel Knife, you get a knife that you can use in just about any situation. Talk of making tinder to build a fire, cutting a rough rope or skinning small animals, this model has it all. Its black oxide stainless steel blade is easy to sharpen along the straight edges. With the serrated edge, you will also find it is easy to make it razor sharp with the right sharpener. We like that it has an ambidextrous design that allows everyone to use it comfortably. It remains ergonomic such that you can use it for extended periods without fatigue. It will come in handy when you are out camping and need it to perform several tasks. With the drop point tip, it opens up possibilities for using it in a wide array of activities. You can go from opening packages in the office to roasting fish after a day out fishing by the campfire. Its execution is quite simple using the ambidextrous thumb knob and index flipper. The frame lock mechanism provides you with safe operation each time. If you are looking for something that is easy to hide, but with high functionality, the Smith &Wesson SWA2S is a perfect pick. 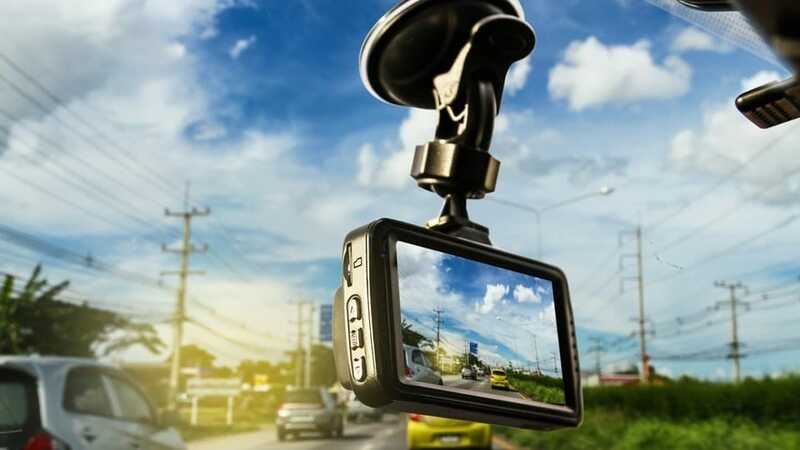 It is versatile, slim, short, and lightweight all-in-one. It has a safety locking mechanism as well as secure opening mechanism. You will love it because of its dependability since you can access it fast. Why we like it: It is the smallest knife that delivers high functionality and strength. It is super easy to carry, deploy, and operate. Its small design makes it suitable for simple jobs. At only 2.3 inches blade length, you wouldn’t expect much from such a small EDC knife. But it is quite functional where you need it. It is the kind of knife you can use to cut thread from your cloth or get something that is lost in a crevice. You won’t remember having this knife in your pocket, but when it comes to time to use it, it showcases its strength unimaginably. This very lightweight knife is quite intriguing. It has a stainless steel construction from the handle to the tip. This means it is absolutely durable and it doesn’t need that much maintenance to keep it in shape. 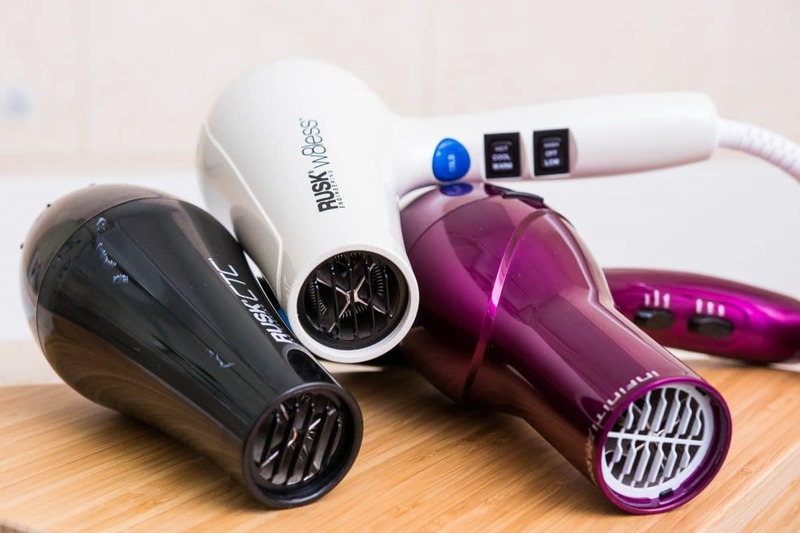 It has a contoured handle that allows for secure handling all the time. When it comes to opening this knife, you have dual thumb studs for simple deployment. You will access it fast and easy when you need it to perform quick tasks. You will also like that it comes with a frame lock to ensure it stays in the open position when its open. Even as small as it is, it won’t be pretty if it closes in on your finger. The simplicity of this EDC knife is what makes it popular. If you want something that can pry bottles as well as open letters, it can replace lots of tools in your office thanks to its versatility. We like the thought of having a small knife being with you all the time. It will come in handy when you least expect it. 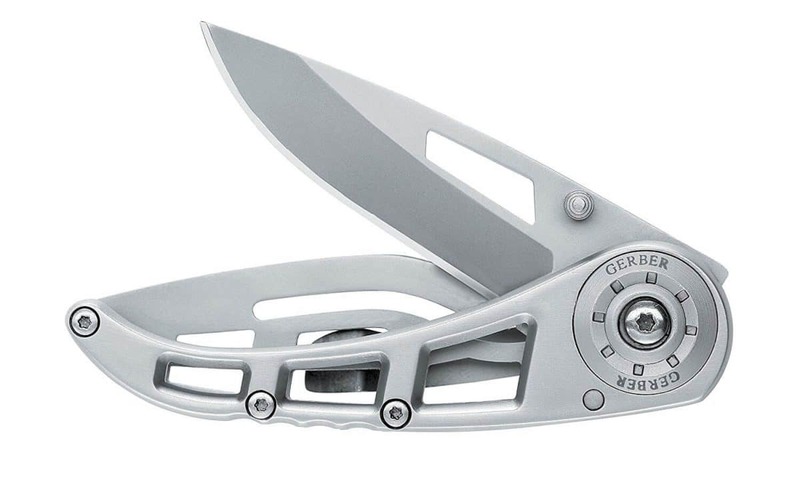 With stainless steel construction, lightweight design, and security features, the Gerber Ripstop I is a cool EDC item for everyone. Why we like it: It is a slim knife with exceptional ergonomics and sturdy materials. It is excellent as a utilitarian knife to help in all kinds of everyday tasks. When you want a people-friendly knife that can still get some work done, we are talking about a knife like the Ontario Knife OKC Rat II. It fits well with most common jobs either in the field or the office. The drop point tip makes it more applicable in the outdoors since it will be of great help in things like cleaning game and building a fire. This knife has a full flat grind that lends it to more usefulness. It can slice deep and fast which gives you utility in places where you will always need a razor sharp knife. It bears a construction from AUS-8 stainless steel. It is effortless to sharpen, maintains an edge, and is highly-resistant to corrosion. The nylon 6 handle saves this knife some weight. It will feel good in the hand thanks to the texturized surface. It also feels grippy to ensure it does not slide when using it with wet hands. The rounded pummel area aids in helping the fingers find the deep where they can hold the knife securely. This knife utilizes a unique method of locking and deployment. The two sets of washers give it incredible deployment speed. The washers will not need any form of maintenance from lubricant, to dabbing oil, or even grease, but each time you deploy the blade, it springs smoothly. The locking mechanism by stainless steel liners is also excellent. You will like that it does not leave room for up and down movement as it has virtually no wiggle. 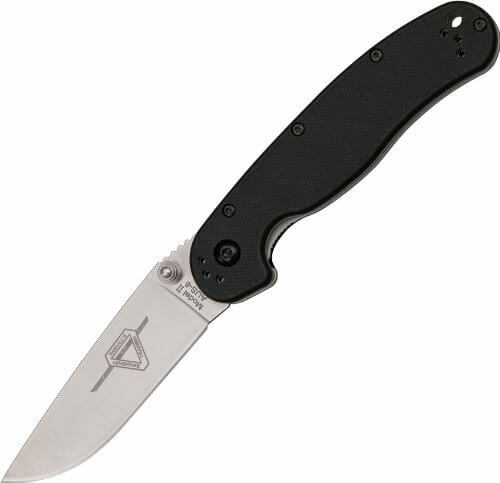 Ontario Knife OKC Rat II ensures that you are not making any compromises on your next EDC knife. It is sturdy, durable, and comes through in all sorts of EDC tasks. You can count on the stainless steel blade to complete jobs cleanly with less effort. Whether you need one to prepare a sandwich in the office or for cutting veggies at the campsite, Ontario OKC has your back. Why we like it: Built to showcase incredible strength in a pocket EDC knife, this model is at the height of functionality. 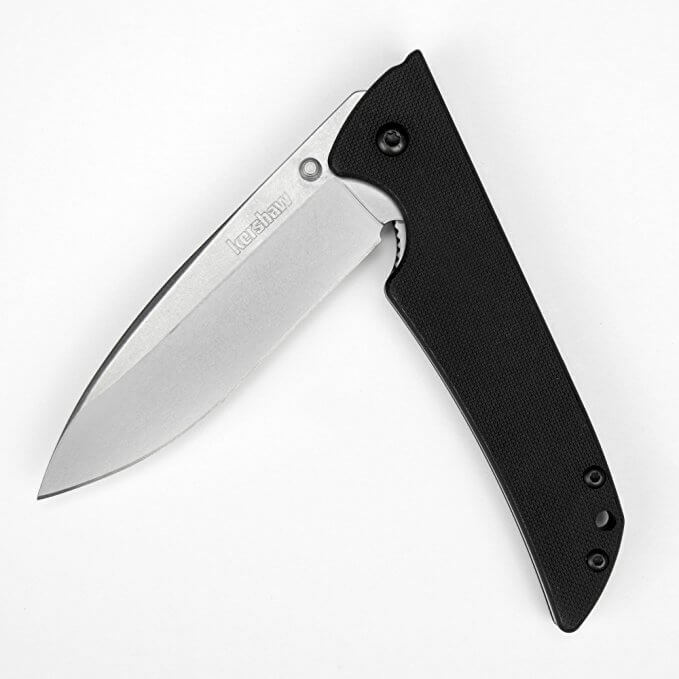 Kershaw is well-known for creating innovative knives. 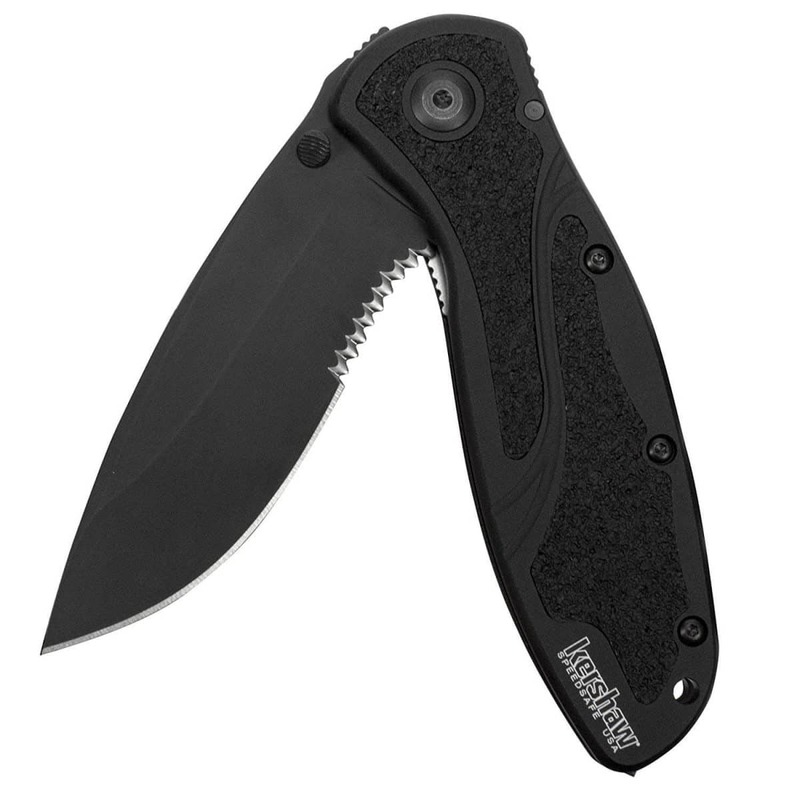 The Kershaw Blur S30V follows a tactical configuration. It is applicable in lots of outdoor situations like the skinning of game, bush-crafting, building a fire, whittling, peeling fruits, and many other situations. This model has a premium construction from superior materials. It is crafted from S30V stainless steel that can last a lifetime. You will like that it is easy to sharpen and it does not blunt easily. This leaves you to complete lots of tasks that we encounter in our daily lives. This knife gives you outstanding operational comfort as it is only 3.4 inches long. It allows you to handle it with confidence knowing you will never lose your grip. With the anodized aircraft aluminum handle it is not only corrosion resistant, but it is also lightweight. The reversible pocket clip provides you with comfortable carriage. You can take it with you in a tip up or tip down style. It also has a pre-drilled hole such that you can fit in a lanyard when you need to hang it around the neck. With a slightly recurved blade, this knife is more useful in the outdoors than it is in the indoors. It has a rubbery grip that allows you to perform stout tasks. With the SpeedSafe assisted opening, it provides you with smooth and speedy deployment. This knife is razor-sharp on arrival. It cuts precisely into lots of materials from simple ones like paper and box cardboard, to a manila rope. Sharpening this knife is not its best aspect. It can be a while before you get a hair-popping edge. Kershaw Blur S30V is sharp and looks great right out of its package. Although you may struggle to sharpen it, the S30V stainless steel blade will last a lifetime thanks to its corrosion resistance properties. It comes with a tight pocket clip that can make it hard to remove the knife. Why we like it: It has a short length so that it falls in line with state laws that require carrying a knife with a 3-inch blade or below. 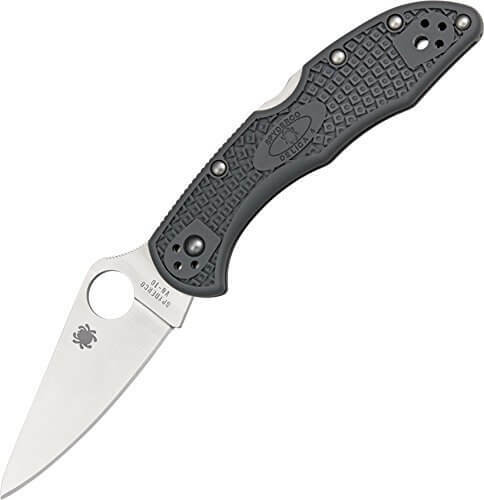 The Spyderco Delica 4 is a compact EDC knife. It fits in the hand in a beautiful fashion such that you can carry out common EDC tasks with ease. This model has V-10 steel blade. It is the kind you find in kitchen knives so you can tell it blunts easily but sharpening it is easier. It has impressive rust resistance meaning it will still have its shine when you forget to wipe it clean after use. With the flat-grind drop point blade, it is highly useful in many jobs from cutting through cardboard to slicing fruits, vegetables, and cutting plastic. It weighs so little that you will barely notice it in your pocket. We love that it has an ambidextrous 4-point pocket clip. It can be stored in the tip-up, tip-down position, or on its left or right side. Looking at the handle, it explores fiberglass reinforced nylon (FRN). It is highly long-lasting material that is preferred in budget knives. The stainless steel liners are placed in that you will not find any gaps between the blade and the liners. This feature ensures that it locks in place when it is operational. This knife does not have any assisted opening. Instead, it comes with an ambidextrous thumb hole for controlled opening. For most people, it is a good thing since you will always know when the knife is opening unlike assisted ones that if poorly made can open in transit. Spyderco Delica 4 earns itself a spot on our best EDC knife owing to its high-quality at its price point. It can chew through lots of materials which indicate how functional it is. It captures the attention of knife enthusiast as it represents the ideal manual opening EDC knife. Why we like it: This knife demonstrates reliability in the deployment and exceptional quality considering its price tag. 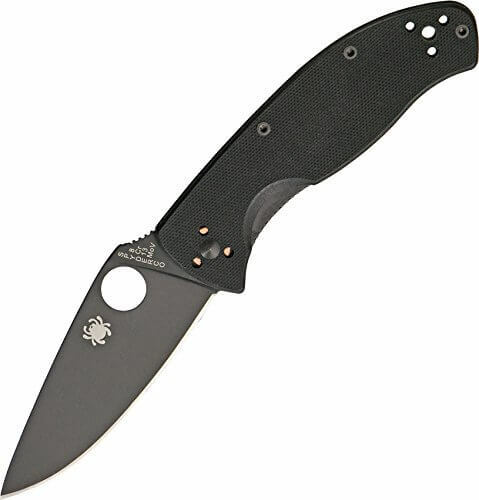 The Spyderco brand is not your first choice when you want to purchase an EDC knife. But through the years, this brand has expressed reliability that has won our hearts over. When you want a mid-sized knife that is not too large for comfort, Spyderco Tenacious is a remarkable choice. The blade is of 8Cr13Mov stainless steel with a black protective coating. The coating improves its longevity such that it won’t rust when you expose it to wet environments. You will love it more because it holds an edge pretty well. 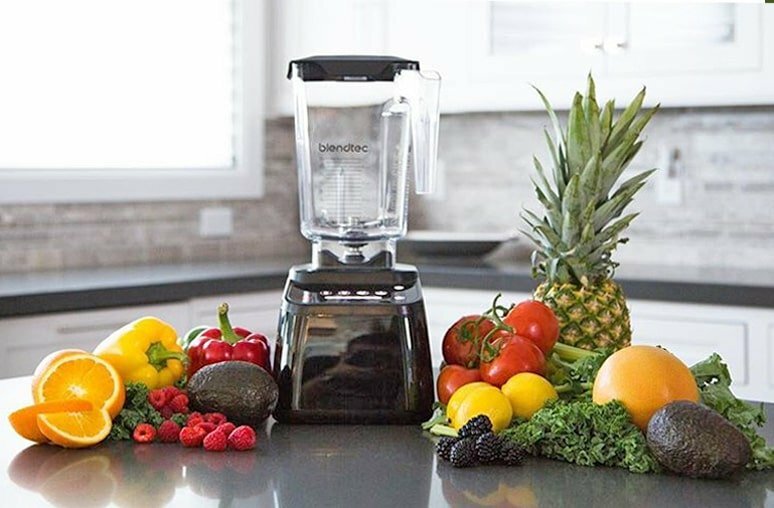 It is sharp from the tip to the hilt giving it reliability in dicing and slicing. With the Spyderco round hole, this knife deploys effortlessly. You will feel confident every time it’s in your hand as the skeletonized stainless steel liners lock the blade in place when it is open and when it is closed. This means you don’t risk opening it when it is in your pocket. The G-10 laminate handle is a popular choice since it gives the knife stable holding. It has a textured surface to provide you with a firm grip. What’s more, it is ergonomically milled to provide you with fatigue-free cutting when used for extended periods. With a total length of 7.6 inches, the Spyderco Tenacious is not your average EDC knife. It gives you more range which translates into a longer reach. Its functionality spans over many types of uses, and it works with excellence. Why we like it: This knife has comfortable ergonomics with smooth operation. It is a high-quality folding knife with an excellent lifespan. 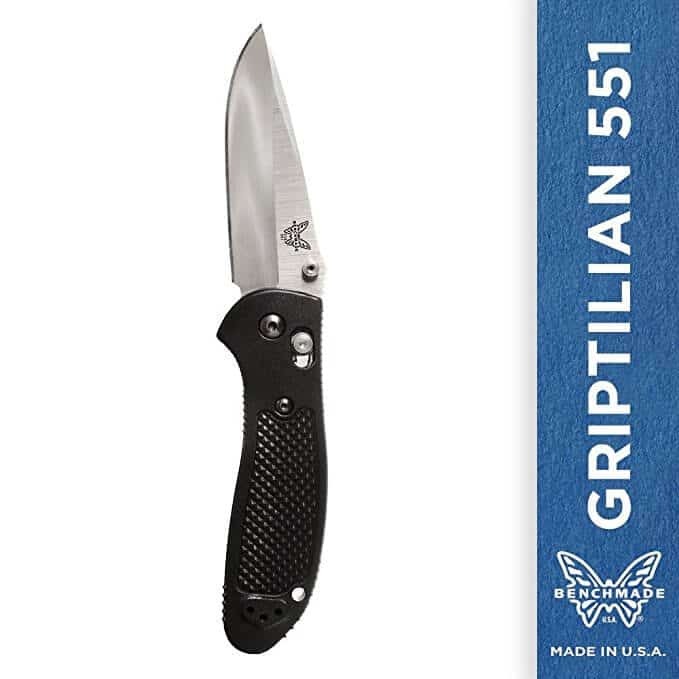 The Benchmade Griptilian is another mid-size knife that expresses reliability in virtually every cutting tasks. Its long length lends it to self-defense as well as tactical purposes. It is practical as an EDC knife thanks to its remarkably small weight. This knife has a154CM stainless steel blade. It will never show any signs of rust when exposed to the elements. It is extremely tough for use in the outdoors especially for survivalists and camping enthusiasts. The well-designed drop-point is even more functional as it can pierce through meat, cut into tough materials, and sharpen sticks when whittling. A knife that is easy to handle is always a welcome feature. 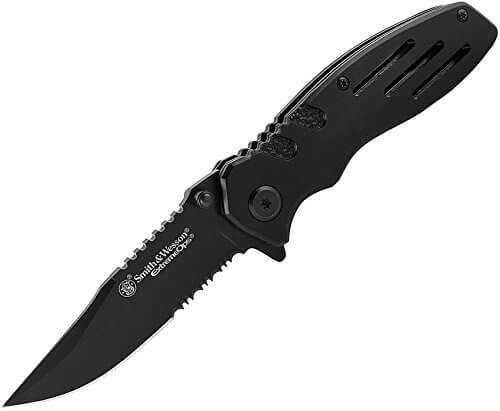 Benchmade Griptilian has a glass reinforced nylon handle. It is sturdy and attractive giving it a considerable following for everyone who is keen on details. The grip is texturized, and it offers you a full-grip so you can get through even the tightest tasks. This knife employs a smooth opening mechanism. It is without a doubt the fastest we have seen. It utilizes a glassy action that pushes the blade out at superfast speed. The AXIS lock is exceptional and unique. It is fully ambidextrous to allow deploying the knife using the right or the left hand. The Benchmade Griptilian is a well-thought EDC knife. It gives you real value for money thanks to its innovative design and impressive durability. The length and the toughness of the blade allow it to be used in all kinds of outdoor and indoor situations. Why we like it: This is a sharp knife that comes with replaceable blades. It allows you to have a sharp blade at all times. This knife is ready for action when you are. It comes with six replaceable blades that make it easy for you to switch into a new blade when you need a razor-sharp knife. The knife uses 420J2 stainless steel. This is an inexpensive type of steel that is corrosion resistant. It can retain an edge, but you don’t need to sharpen this knife since you can replace it with one of the five extra blades. You will be provided with a black-oxide coated handle that gives this knife the strength of a regular kitchen knife. It has a double molded grivory handle that comes with rubberized TPR inserts. This ensures you will always have a firm grip for every job. Changing the blade is as simple as pushing the lock button to release the old blade and inserting the new blade. 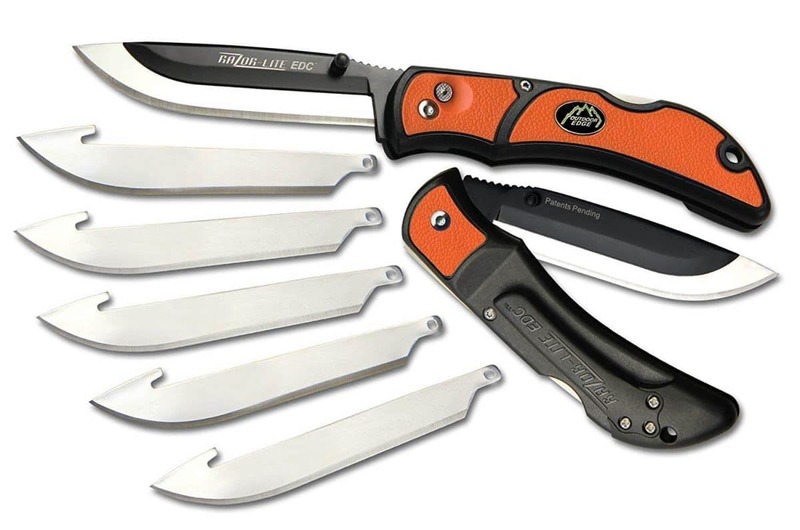 The Outdoor Edge Razor-Lite EDC knife is an ideal choice for emergency situations. It is a small size that you can always have with you especially if you are an emergency responder. It has a double-sided thumb stud which makes it easy to use one hand to deploy. Since it is lightweight, you will be able to execute quick action movements. Many people will agree that this is the sharpest knife out of the box. It has incredible strength for such a small size knife. With six replacement blades, you can give up sharpening all-together and start enjoying scalpel-sharp blades at your convenience. You have everything to gain by having an EDC knife. They are extremely useful in opening packages as well as preparing meals. The number one reason for carrying a pocket knife in self-defense. If you find yourself in a situation where you feel your life is in danger, pulling a knife can get you out of distress unscathed. You may not get to use it, but an assailant will be deterred if you hold a knife against them. It’s important to know how to use a knife in case you need to use it for self-defense. Most items are wrapped in plastic. I don’t think you want to dig your nails in the plastic or even use something like your teeth. Instead, having a small knife with you will make quick work of opening every package. Knives are very useful in emergency situations. In a car wreck, for example, seat belts tend to jam and restrict the passenger. With a knife, you can free a victim from their seat and save their life in the process. The same knife will also help to cut fabric when you need to dress a wound. And God forbid you to have to heat the knife’s blade to cauterize a wound. Another way of using a pocket knife in emergencies is when prying through windows and doors that get stuck. If you were a survivalist, or you were caught out in a storm, you will need a fire to keep you warm. An EDC knife allows you to make tinder and collect material that will help to build a fire. Skinning meat cannot be done without a knife. If you are a hunter or like camping, a pocket knife will help you accomplish such tasks as slicing meat, and turning it as it roasts over a campfire. Which criteria is best in choosing your ideal EDC knife? Knives are treated as weapons even though they are they are oldest tools humankind has ever known. EDC knives, in particular, are useful in survival and tactical situations. If you are a hunter, emergency practitioner, paramedic, plumber, mechanic, or electrician, you will need a good EDC knife. As we said, knives can get you in trouble in states where it is illegal to carry one. The last thing you need is confiscation, fines, or being faced with jail time for breaking the law. If your state permits carrying of a knife, bring a copy of knife laws in your purse or pocket. If you are unsure of its legality, do not carry the knife. Always go for a lightweight knife. You don’t want a knife that announces its presence every time it’s in your pocket. Your EDC knife should not exceed 5 ounces. This is because, for an EDC knife, you expect it to fulfill only some purposes but not everything. You will need to tailor the blade length to your needs. This means not going with the longest blade available. Remember that if it’s going to be in your pocket, it may jab at you when walking. Most EDC knives have a length from 2-5 inches. A long knife will give you more reach, but it is harder to control than a short knife. Buying a cheap knife does not mean sacrificing on quality. The essence of sticking to a budget is to know the quality features presented by each brand. In the knife world, brand is a thing since some brands are known to offer affordable but well-made knives. Steering clear of cheap unbranded knives is essential.